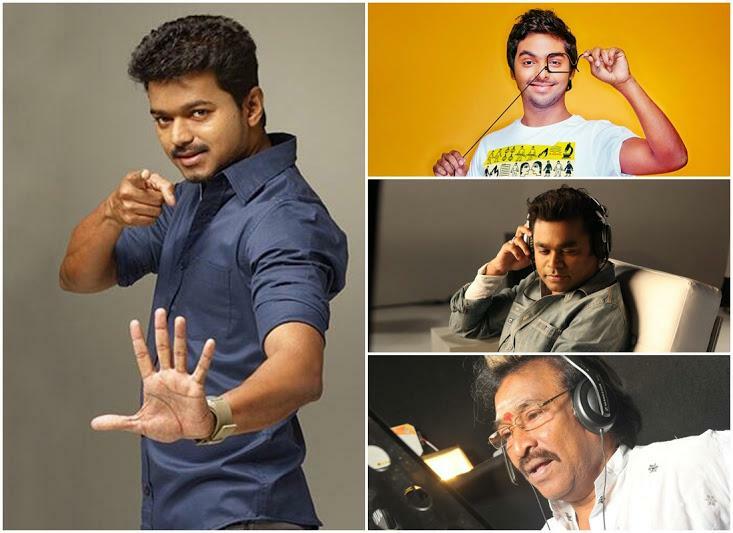 Oscar-winning composer AR Rahman is most likely to sing in a composition by his nephew GV Prakash Kumar in upcoming yet-untitled Tamil film starring superstar Vijay. Ace music director A.R.Rahman composed music for a Vijay's 'Azahgiya Tamizh Magan' in 2007. Fans disappointed that the ARR wouldn't utilize Vijay's cronning skills for a song in the film's music album. However fans could get the joy of listening the legendary composer lending his voice for the opening Vijay's opening 'Ella Pugazhum oruvan oruvanukke' turns to be a super hit. Eight years down, the same phenomenon is going to happen again. Reliable sources reveal that talks have been initiated with Rahman to make him sing for VIjay in the latter's 59th film to be directed by Atlee. "Prakash and the team are in talks with Rahman. If everything goes as planned, he might sing in this album. Prakash is keen that Rahman sings as this happens to be his 50th film as a composer," a source close to the young composer told. Worth to mention that GV Prakash has recorded a number with Thenisai Thendral Deva few days back for the same film. It is to be noted that so far Rahman has not sung a song composed by any other music director in films. Will he break this rule for his dear nephew GVP? Well that will be a great news to eagerly await. The film, which will officially be launched here on Friday, also features Samantha Ruth Prabhu and Amy Jackson in the lead roles. To be directed by Atlee, the project is said to feature Vijay as a policeman. The regular shooting will start from July 1.